There’s a new (ancient) wrinkle to consider in the fight against chronic inflammation: the gut flora. Understanding our own bodies is difficult enough, but now we’ve also got to make sense of how the droves of foreign (but symbiotic) microbes living in our guts interact with our health. Scientists have referred to the gut as the “second brain.” Why? Because it contains a vast network of neurons. In fact, it contains over 100 million neurons, which is more that what’s found in your spinal cord. Researchers from the University of Michigan have published a study showing how probiotics reduce stress induced gut inflammation. Psychological stress from work, school, marriage, relationships, finances, any chronic stress, releases the stress hormone cortisol, which stops the digestive process causing inflammation and damage to the gut. Allowing large food particles and toxins to enter the bloodstream, where they are attacked by the immune system, creating inflammation in the body and brain. Your gut can become inflamed and damaged from physical sources as well. Such as antibiotics, alcohol, diet, chlorinated drinking water, mercury, lead, GMO Food, preservatives, food additives and more. Most people, including many physicians, do not realize that 80 percent of your immune system is located in your digestive system, making a healthy gut a major focal point if you want to maintain optimal health. Remember, a robust immune system is your number one defense system against ALL disease. 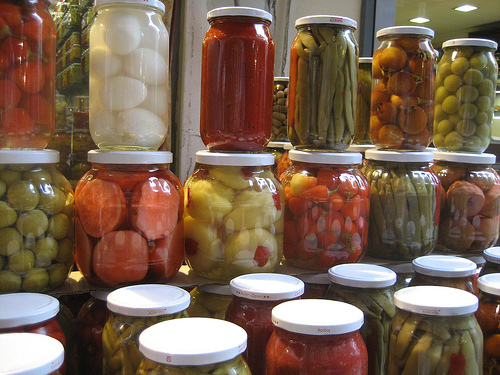 Our relationship to gut flora is confusing and rather precarious. If the right conditions are met, we exist in harmony. If good bacteria is stable, breaking down fiber (like pectin and inulin) into short chain fatty acids (like butyrate), and working harmoniously with the body, gut inflammation is suppressed, intestinal permeability is reduced, and multiple health biomarkers (lipids, insulin) improve. But we must remember – gut flora doesn’t exist for our benefit. Even if gut flora species were sentient, they’d only be acting out of self-interest. They wouldn’t “care” about us. They’re just trying to survive. It just so happens that keeping us happy by mediating immune responses and tight junction function, helping identify harmful intruders, and producing short chain fatty acids like butyrate puts the flora in good standing with our immune systems. They scratch our back, we provide room and board and don’t dispatch antibodies to destroy them. Gut flora influences the human immune response (provides a blockade against damaging bacteria; gives a “safe word” to avoid the immune system wasting resources on attacking; influences size of the thymus). Mice without gut flora have a severely truncated immune response, for example. Now what is the primary immune response to damaging stimuli? Inflammation. In correct doses, inflammation is a boon, necessary for healing and protection from foreign invaders. But in excess, inflammation is at the heart of many diseases. Gut inflammation especially is associated with a number of autoimmune diseases. Leaky gut, or intestinal permeability, for example, is associated with inflammation of the gut, and with small intestinal bacterial overgrowth. Small intestinal bacterial overgrowth, or SIBO, occurs when the gut flora is compromised. Remember, normal gut flora acts as a physical barrier to foreign flora; they are stubborn tenants, old ornery relics of the neighborhood who refuse to leave and who dissuade pathogenic flora from settling in. If the good gut flora is gone or disrupted, pathogenic bacteria can populate the gut at will. The result is SIBO, and it leads to gut inflammation and intestinal hyper permeability. It’s all a vicious cycle. Inflammation leads to disturbed gut flora (or maybe it’s the other way around – the classic chicken and the egg dilemma), SIBO, malfunctioning toll-like receptors, and leaky gut, allowing proteins to enter the body and provoke an inflammatory response by the immune system. More inflammation, more bacterial overgrowth, maybe a bout of antibiotics thrown in for good measure which wipes out the bacteria, leaving a clean slate and prompting another mad dash by microbes to fill the vacancies, and the result is – potentially – a permanently altered/disrupted distribution of gut flora both supporting and supported by chronic systemic inflammation. Where does it end? How do we fix it? (Part Five of this series will list the top probiotics to help repair your gut and keep it healthy). 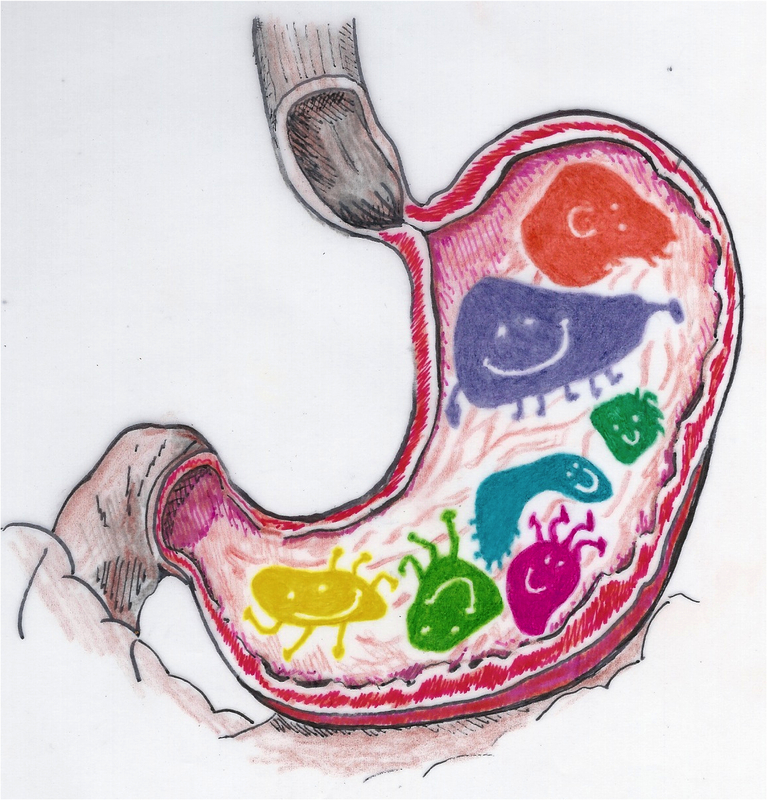 Next in this series we have a wonderful article linking gut bacteria and RLS by science writer Kristina Campbell. 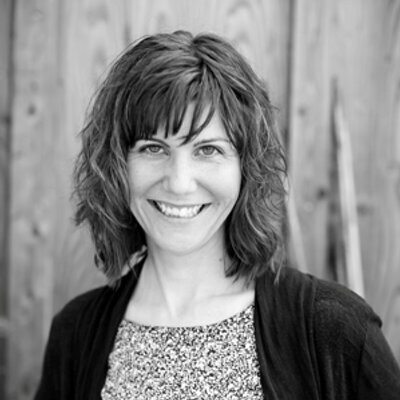 Kristina was kind enough to let me post her article in this blog. Kristina has lived and worked in Canada, Taiwan, and the U.K., and has completed degrees at the University of Toronto (B.A. Hon) and the University of British Columbia (M.Sc.). She worked as a communication clinician before training to be a journalist. 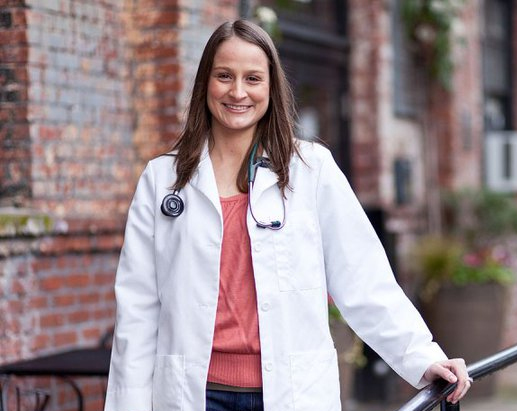 Her own experience with digestive health problems first led her to investigate the science of the microbiome and its direct implications for health. According to one intriguing new study in Sleep Medicine, Restless Legs Syndrome may be another thing that is connected to gut bacteria gone haywire. The study came about because its investigators, Weinstock and Walters, had previously noticed that many people with celiac disease and Crohn’s disease happened to have a diagnosis of Restless Legs Syndrome. They wondered: Does the reverse relationship hold between gastrointestinal problems and restless legs? That is, if we take a group of people with known RLS, would we find that they have more gastrointestinal problems than people with normal leg movement? The gastrointestinal problems they were interested in studying were irritable bowel syndrome (IBS) and small intestinal bacterial overgrowth (SIBO). Importantly, IBS is a “functional syndrome”. That means doctors diagnose it based on reported symptoms rather than a specific test that confirms or disconfirms it. So to be fair, there’s no guarantee that people with IBS have anything wrong with their gut bacteria. But in recent years IBS has been linked to SIBO, a condition that is definitely associated with too many bacteria hanging out in a neighborhood where they don’t belong: the small intestine. SIBO itself is diagnosed via an indirect method called the “lactulose breath test”. The attraction of this method is that it involves nothing more invasive than drinking a cup of sugar solution and blowing into a plastic tube. The researchers wanted to investigate both IBS and SIBO because each one indicates that something is going wrong with digestion; some patients have both problems, but others have just one or the other. Smartly, the researchers ended up with one measure of gastrointestinal distress that was based on reported criteria (i.e. IBS), and one that was based on measurable biology (i.e. SIBO). People with Restless Legs Syndrome discovered the study through ads that made no mention of gastrointestinal symptoms. Their diagnoses of RLS were confirmed by the investigators, and then each subject was assessed for both IBS and SIBO. It turned out that IBS was diagnosed in 28% of subjects with Restless Legs Syndrome, compared to 4% of the controls. In some of the cases, the IBS symptoms had appeared before the onset of the RLS symptoms. In others, the two problems started around the same time. As for SIBO, the breath test showed it was present in 69% of the people with Restless Legs Syndrome, compared to 28% of the controls. The conclusion? People with Restless Legs Syndrome have a greater incidence of IBS and SIBO – that is, a greater incidence of problems in the digestive system – than people without it. And in at least some people with restless legs syndrome, the associated gastrointestinal problem was related to bacterial overgrowth in the small intestine. The research is far from concluding that gastrointestinal problems CAUSE restless legs or vice versa. But the researchers did put forward the tantalizing idea that there may be a common mechanism that leads to both: maybe some kind of inflammatory process in the body that leads to central or peripheral nerve damage, or a change in micronutrient absorption, resulting in restless legs. In support of this, the researchers did an informal review of conditions that tended to co-occur with RLS; 89% of these disorders had been associated with inflammation or immune system activation. In turn, the connection between inflammation and problems with gut bacteria has strong support in the literature. But that’s a topic for another day. Lots of questions remain about Restless Legs Syndrome, but the connection that this study made between restless legs and gut troubles seems to confirm certain clinical observations – not to mention people’s personal experiences. We need more information though – let’s hope this area of research stays alive and… ahem… kicking. 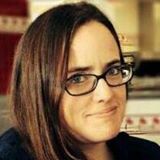 Heather Sullivan Zydek from Milwaukee, Wisconsin sent me a message recently telling about her early success in eliminating her RLS by focusing on microbiome healing. It was due to this message (along with an article that I am presenting in Part Three of this series) that got me REALLY excited about probiotics. This just feels like the core of the problem. It makes so much sense. 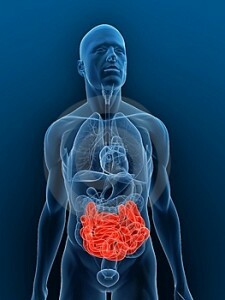 If the gut is where most of the inflammation is being manufactured, then this has to be the primary target for healing. “For most of my adult life I have struggled with Restless Leg Syndrome, a condition believed to be auto-immune in nature. My flare-ups usually occur in the evenings when I am sitting watching TV or reading, on a car ride or at a play or movie. It started in my mid 20s with my pregnancies and worsened as the years went on. I tried quitting caffeine and taking extra iron, as both are associated with the condition. Nothing helped. 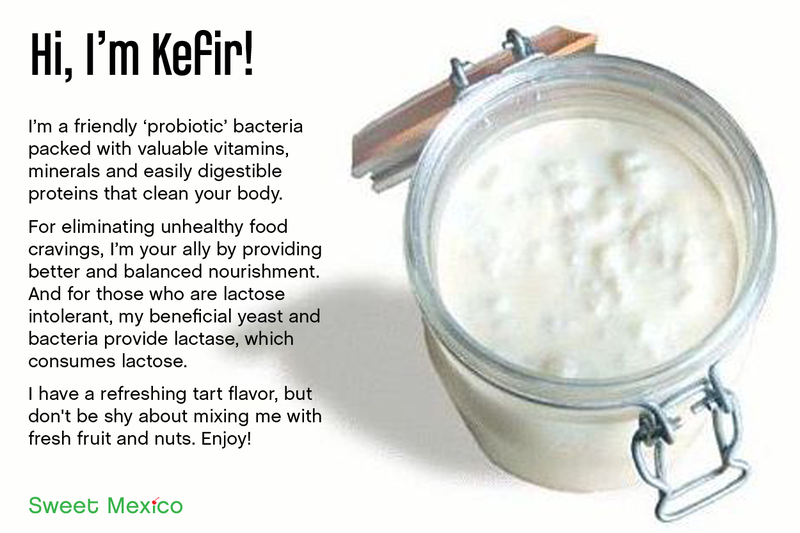 In the summer of 2012, I noticed a slight improvement on the almost nightly electrical feelings in my legs and arms after I started drinking the probiotic drink kefir daily. But my diet was still poor — as a lacto-ovo vegetarian I lived on tons of sugar, wheat and fat — so ultimately the RLS persisted. For a while after that I wondered if maybe healing my microbiome would help this and other minor ailments (e.g. chronic heartburn) to improve. I was very thankful when I finally sat down and started learning how to heal the microbiome, and then made a commitment to try this summer. There is a TIDAL WAVE of information coming out these days about “probiotics” and the importance of having a healthy gut. Science has proven time and time again that fully functional digestive system is the key to good health. 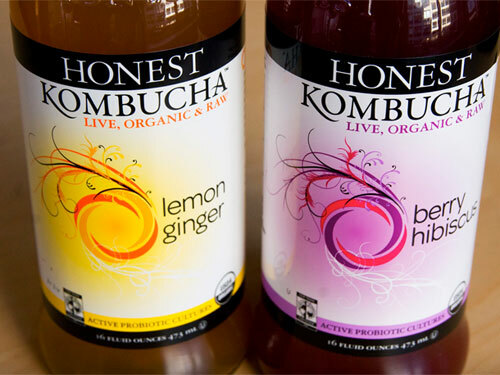 Those people in the know have been aware of its importance for years, but only recently have probiotics found their way into the mainstream. So, what do “microbes” and “gut bacteria” have to do with RLS? 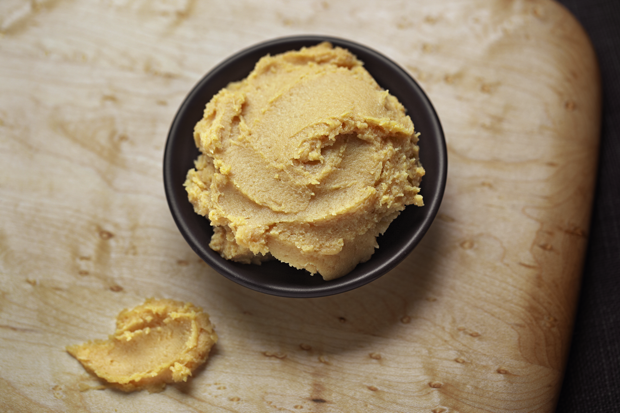 Endless studies have shown that an unhealthy gut is a breeding ground for inflammation. If you believe that your RLS may be caused by inflammation, as I and others claim, then it is crucial that you ensure that all is healthy in the world of your digestive system. If it’s not functioning properly, then any attempt you make to try and free yourself from RLS will be severely limited in its effectiveness. For those of you like myself that are not versed in scientific things, I’m going to present a series of posts that will hopefully present the facts you need to know in a clear and simple manner. This first post is a collection of key definitions that will make the rest of the information less confusing. 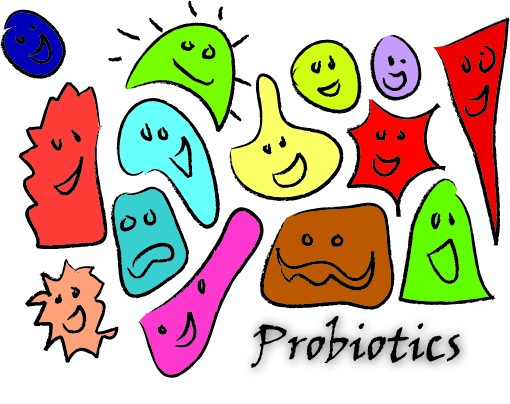 Probiotic: A food or a dietary supplement containing live bacteria that replace or add to the beneficial bacteria normally present in the gastrointestinal tract (from Greek: pro – advancing or projecting forward or outward biotic – pertaining to life). 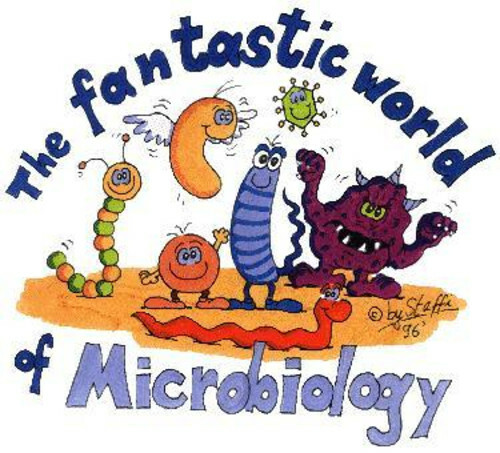 Microbe: An extremely small living thing that can only be seen with a microscope (from Greek mīkro- small + bíos – life). Microbiome: The totality of microbes, their genetic elements, and environmental interactions in a particular environment. The term “microbiome” was coined by Joshua Lederberg, who argued that microorganisms inhabiting the human body should be included as part of the human genome, because of their influence on human physiology. The human body contains over 10 times more microbial cells than human cells (from Greek: Micro – of reduced or restricted size: Biome – a large naturally occurring community of flora and fauna occupying a major habitat, e.g. forest or tundra). Flora: the bacteria and fungi, both normally occurring and pathological, found in or on an organ. Gut Microbiota (formerly called Gut Flora) The word microbiota represents an ensemble of microorganisms that resides in a previously established environment. 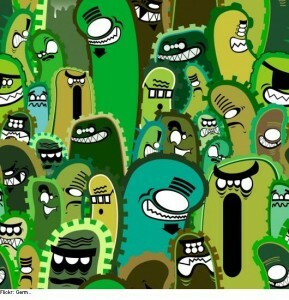 Human beings have clusters of bacteria in different parts of the body, such as in the surface or deep layers of skin (skin microbiota), the mouth (oral microbiota), and so on. 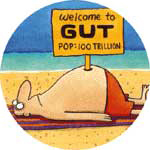 Gut microbiota is the name given today to the microbe population living in our intestine. It contains tens of trillions of microorganisms, including at least 1000 different species of known bacteria with more than 3 million genes (150 times more than human genes). 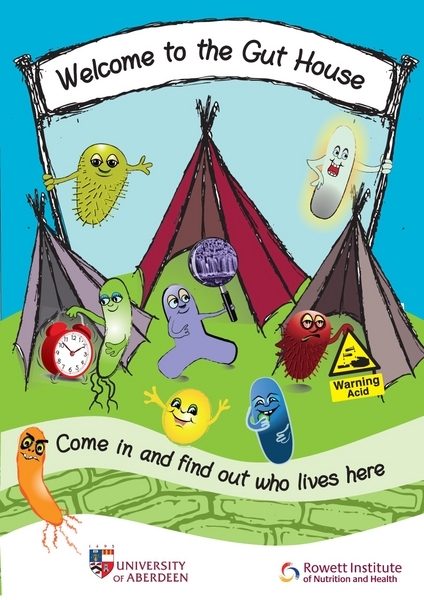 Microbiota can, in total, weigh up to 2 kg. 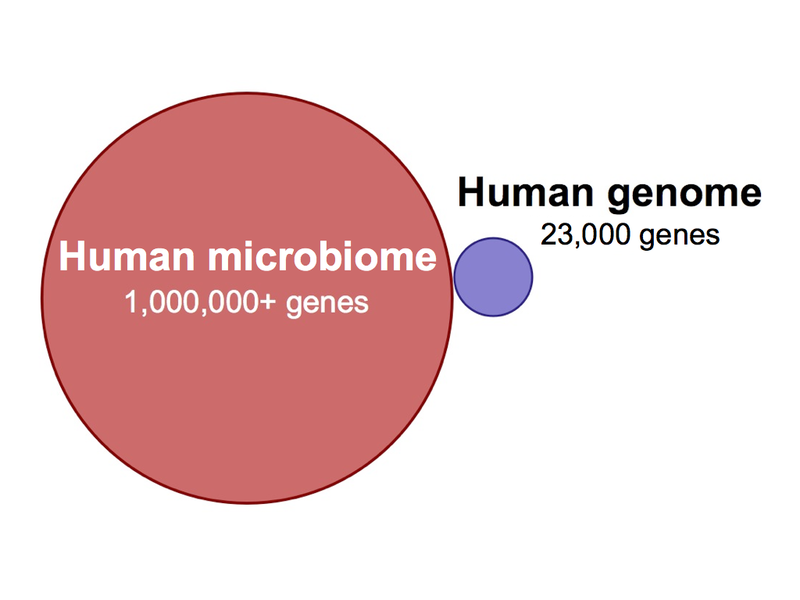 One third of our gut microbiota is common to most people, while two thirds are specific to each one of us. In other words, the microbiota in your intestine is like an individual identity card. As its name states, gut microbiota is harbored in the intestine, one of the main areas in our bodies that comes into contact with the external environment (other examples are the skin and the lungs). 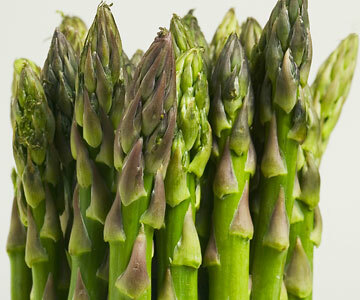 – It helps the body to digest certain foods that the stomach and small intestine have not been able to digest. – It helps with the production of some vitamins (B and K). 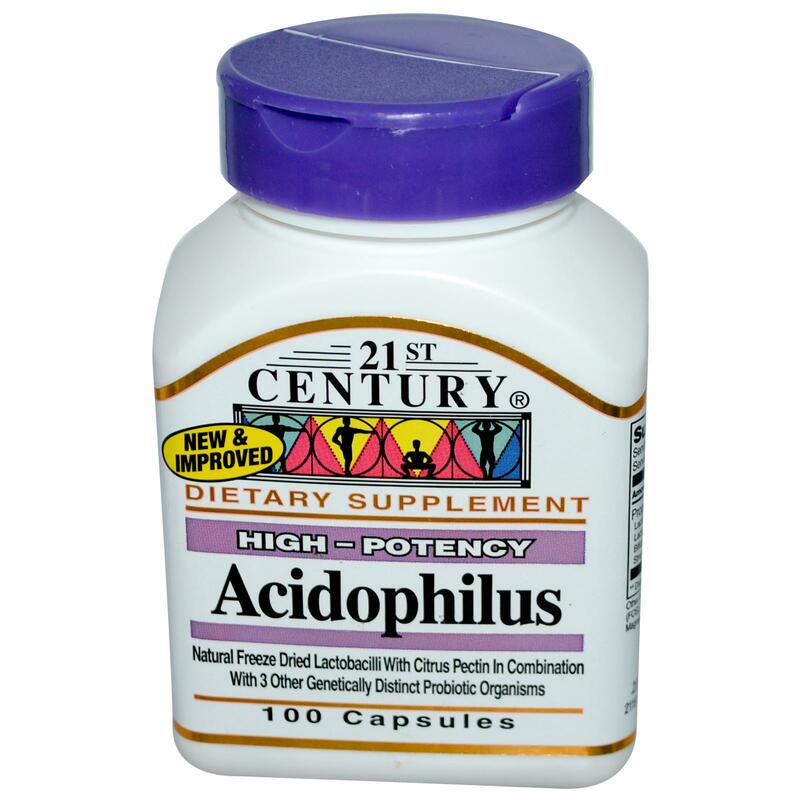 – It helps us combat aggressions from other microorganisms, maintaining the wholeness of the intestinal mucosa. – It plays an important role in the immune system, performing a barrier effect. 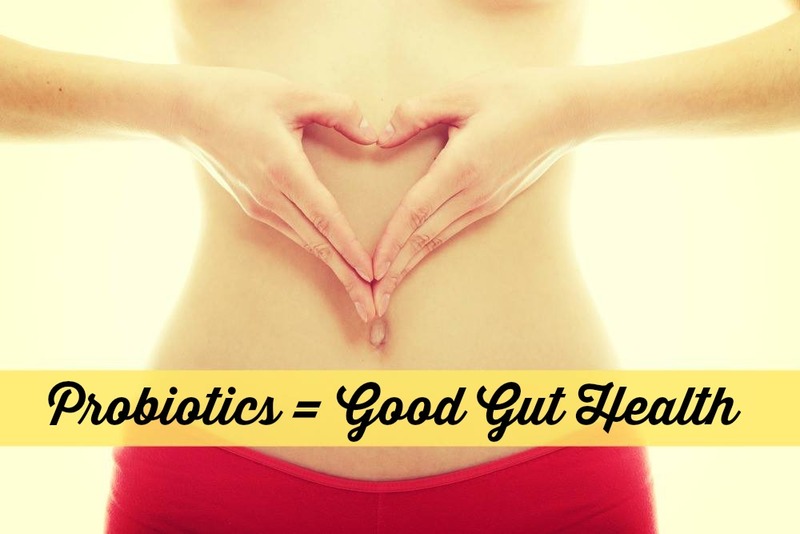 – A healthy and balanced gut microbiota is key to ensuring proper digestive functioning.